Apple’s recently-released HomePod smart speaker may have received pretty decent reviews from the global tech media, but it apparently suffers from a weird problem that’s annoying a lot of early adopters and media personnel who received complimentary review units ahead of general availability. Apparently, the device can leave a white stain on wooden surfaces if they are kept at the same for spot any length of time. The problem is being reported not just by people on Twitter, but also by reputable media outlets, such as The WireCutter and PocketLint that say the device leaves behind a white ring when used for even 20 minutes on a wooden surface. The marks apparently fade over time, but certainly isn’t something you would have been bargaining for from your prized new $350 acquisition. 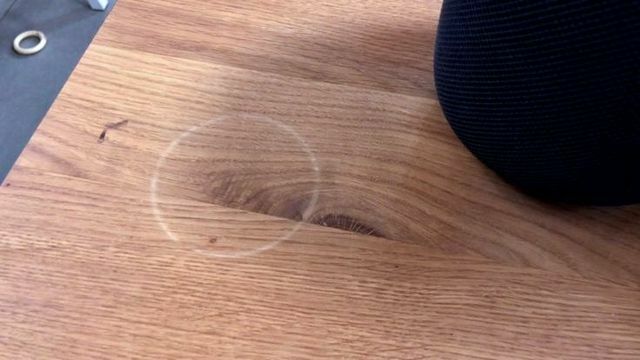 On its part, Apple has acknowledged the issue, but is yet to admit any fault, saying that, “It is not unusual for any speaker with a vibration-dampening silicone base to leave mild marks when placed on some wooden surfaces”. 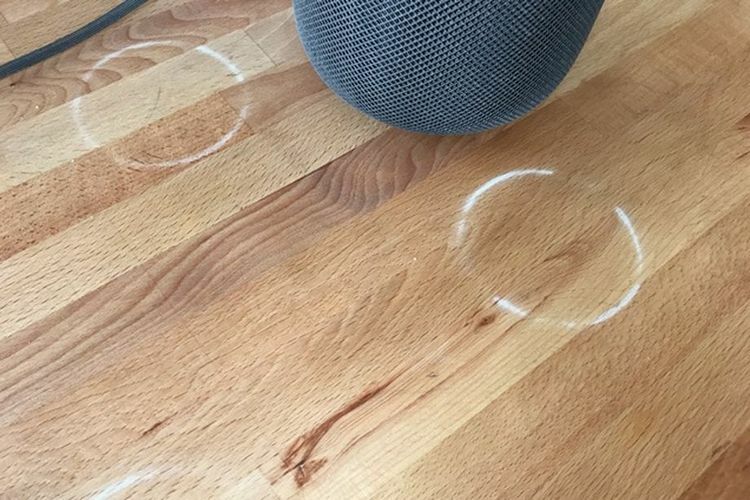 “The marks can be caused by oils diffusing between the silicone base and the table surface, and will often go away after several days when the speaker is removed from the wooden surface” – Apple. Apple is also suggesting some workarounds that involve “wiping the surface gently with a soft damp or dry cloth” and/or cleaning the surface with the “furniture manufacturer’s recommended cleaning process.” Some affected users are suggesting that re-oiling the furniture may also remove the stains, though that seems like a drastic step every time you place the speaker on a surface. Despite outlining these measures, it does seem like Apple failed to test the speaker on wooden surfaces before launch. After the infamous ‘You’re holding it wrong’ response from Steve Jobs back in 2010, just be thankful Apple is yet to tell customers that they’re ‘placing it wrong’. Then again, maybe I’m speaking too soon.